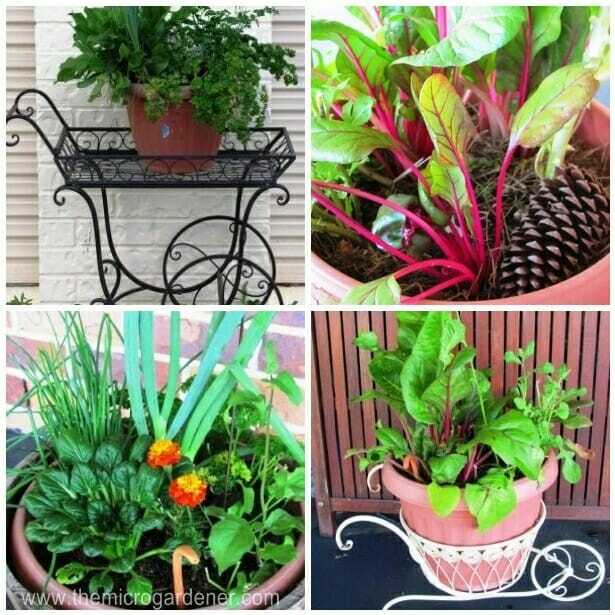 Check out what other gardeners are salvaging and reusing as creative planters to grow a garden in and find out some of the benefits of ‘making old new again’ with inspiring photos of what can be achieved. 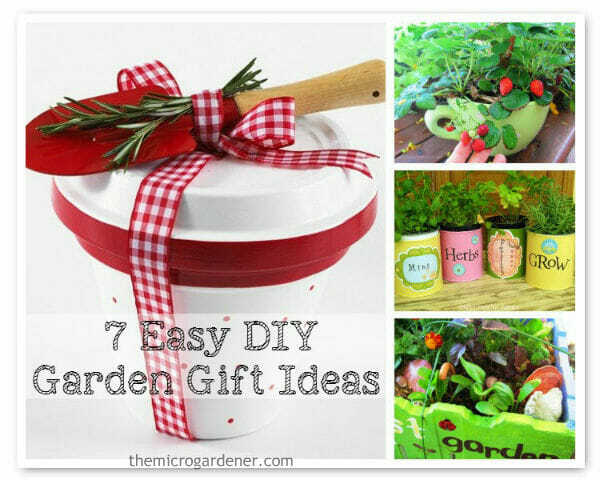 Need inspiration for low-cost, personal DIY garden gift ideas? With a little creative thinking, you can easily make your own affordable presents. Mini window sill herb gardens are a favourite with just about everyone. 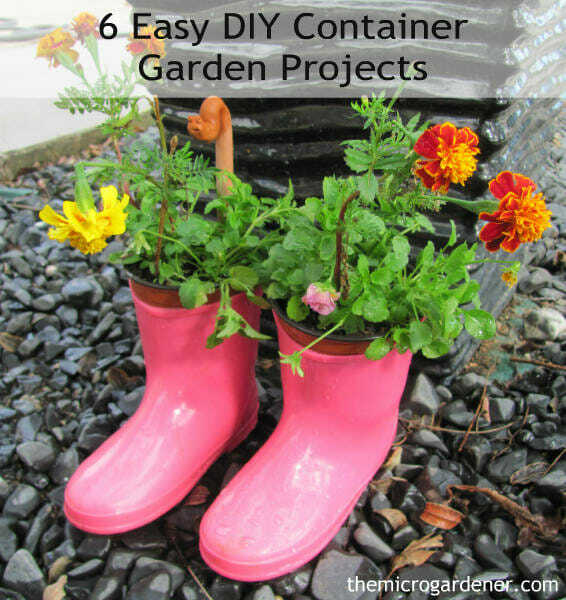 To make these low cost gifts, save tin cans from your kitchen and reuse as cute container gardens. Make one or a collection. 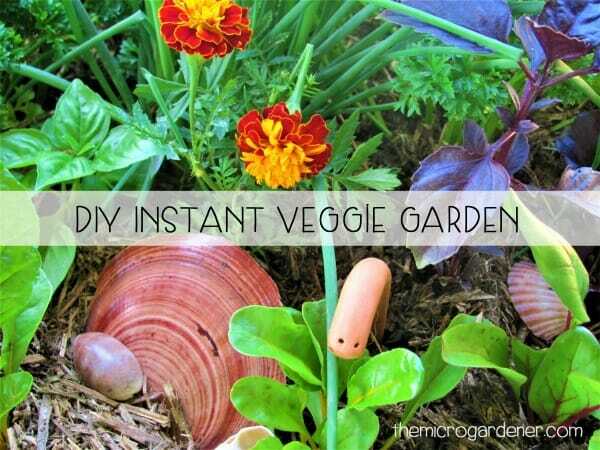 This is a gift you can keep adding to throughout the year with new herbs! 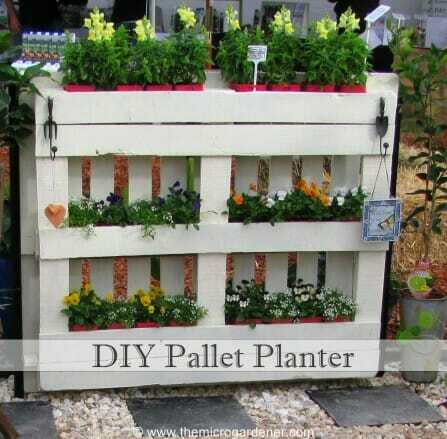 Looking for a DIY Pallet Planter project? I’m always creating compact solutions for my garden. If you have limited time, money, space or skills you may find this easy, low-cost pallet project a simple way to make your garden functional and beautiful. 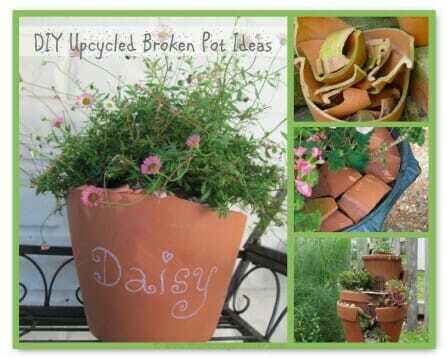 What do you do with a Broken Pot? I don’t know how these accidents happen, but I’m left to pick up the pieces (literally). I’m ‘shattered’ by the number of broken pots around this place! I hope my dilemma and discoveries will help inspire what you too can do with broken pots. To put you in the picture, there have been multiple casualties here lately. I’m not talking about my bruised hubby falling off the ladder – his ego not his body! … No, these accidents have happened to my precious pot collections. Short of space? 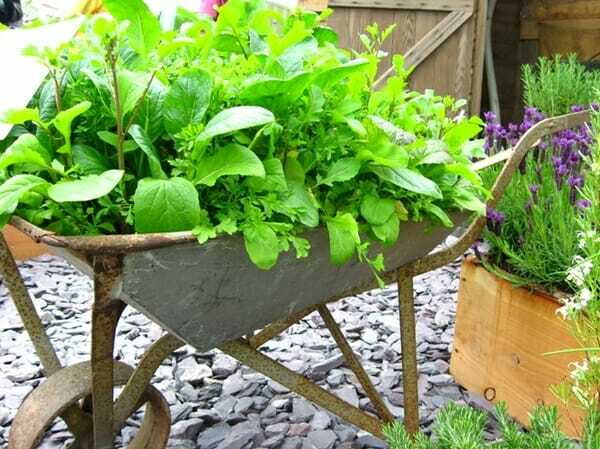 Renting or on the move and need a mobile garden solution? Or perhaps a health issue means you need a little more flexibility … Get some inspiration from these ‘pick up and grow’ creative ideas for micro gardens. If your soil is too poor or difficult to dig, a mobile solution in a compact space might be an easy solution. I’m always looking for inspiring, low-cost and resourceful ideas for the garden – here are some of my favourite projects for you to try. 1. 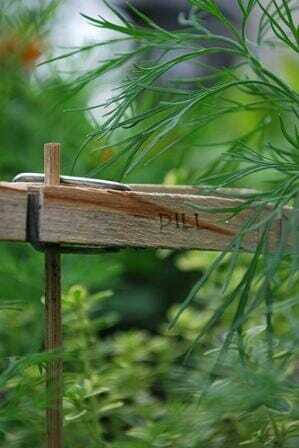 Peg Plant Marker – This is an easy improvised solution using everyday materials. Kids can paint the pegs and make them colourful and if you save seeds from your edible gardens like I do, this makes plant identification a snack! Always scratching around to find a plant marker? MYO in seconds with a bamboo skewer, wooden peg and a permanent marker! How easy is this? 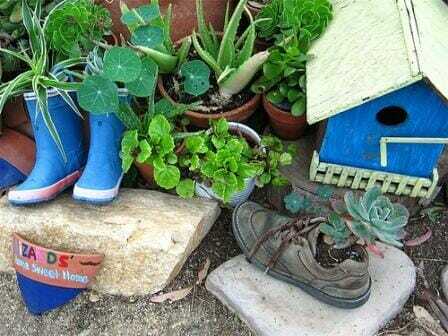 If you need a little inspiration for your next plant container, the solution might be right at your feet … so to speak! Don’t give your old shoes the boot. 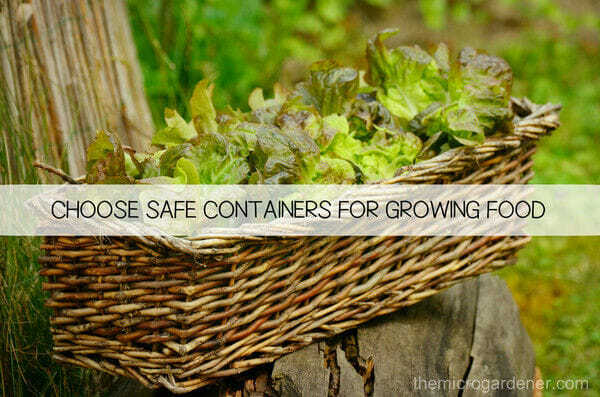 Repurpose them as decorative planters. 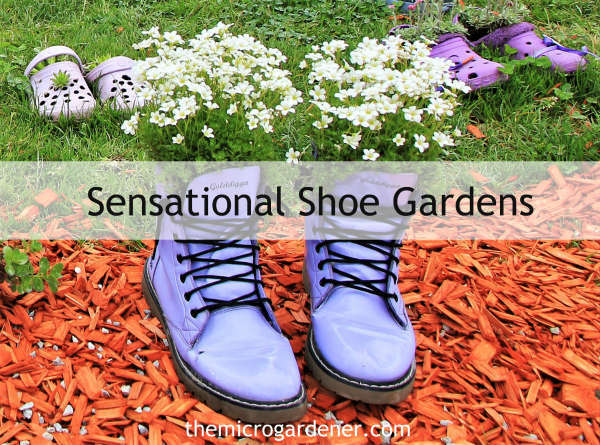 If you’ve only got space for a micro garden, shoes make easy planters for herbs, shallow rooted leafy vegies and succulents that all do well in small spaces. One night someone came into this school and broke every single pot in the garden. Instead of tossing it all, the kids picked up the bits, decorated them, and piled them along with some unique shoe planters and succulents, by a tree to make a cozy home for the wild lizards that hang around the school.